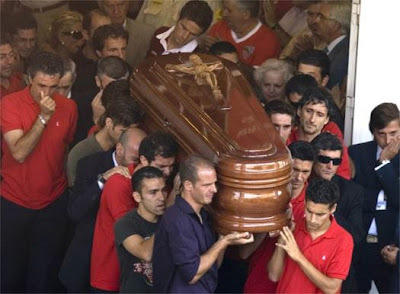 Home death feher foe football heart attack idrizaj jarque puerta shankley More important than a matter of life and death? 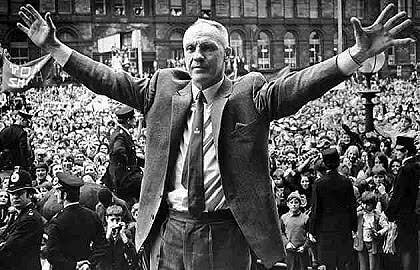 The great Bill Shankley once said that football was more important than a matter of life or death. Whilst it is difficult to contest most of what he did, this is one thing that is simply not true. Clearly, this was said somewhat tongue-in-cheek, but to him, football may have been that important. The game provided him with his life. And while he understood that tragedy and football can never be wholly separated, he never lost his staunch belief that football was the most important thing and that through the bad times, football must continue. However, when the bad times come, it is never easy to separate the tragedy and grief from the desire to see the game continue. 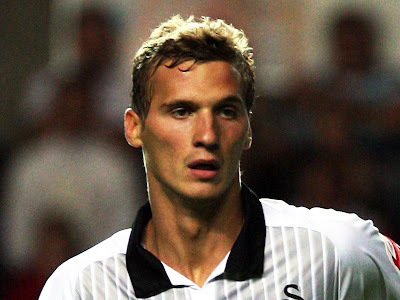 Earlier today, it was announced that Besian Idrizaj has become the latest footballer to tragically pass away in recent years. Whilst it is doubtful that the majority of football fans will ever have heard of the Austrian, this should make no difference. Football has always been a tight community, and the loss of one of its members is a tragedy. Idrizaj passed away last night, having suffered a heart attack in his sleep. He was only 22 years old. He came to England at a relatively young age, having been signed to the Liverpool youth academy. However, he never quite made the grade there, and had loans spells at Luton and Crystal Palace, before returning to his homeland for a season. He moved back to England to join Swansea City last summer, but only made four appearances after a spell out of the game. He had collapsed twice before on the pitch within two months of each other. At the time, it was thought to have been a heart attack, but it was later confirmed as a virus. However, despite recommendations that he should quit the game for health reasons, his love of the game convinced him to carry on playing. He is not the only player to have tragically passed away in recent times. Indeed, there seems to be a growing number of players that have suffered heart attacks – many during a match. 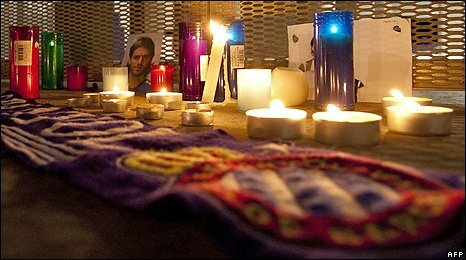 Three of the highest profile cases in recent years are Marc-Vivien Foé, Miklos Fehér and Antonio Puerta. 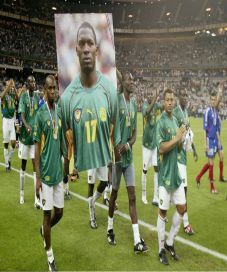 Marc-Vivien Foé collapsed during the second half of the 2003 Confederations Cup semi-final. Despite numerous attempts to resuscitate him, they were unable to. Miklos Fehér was a Hungarian international, who collapsed on the field during a league game in January 2004. His teammates rushed to him, performing CPR before the medics arrived. Antonio Puerta is possibly the highest profile case. 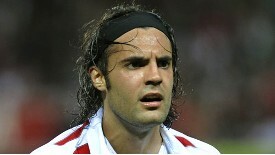 A Spanish international, he played for Sevilla, but collapsed in his own penalty area during a match. After recovering consciousness, he was substituted and walked off the field. However, he collapsed again in the changing rooms and tragically passed away. However, there have many a number of other cases recently. Less than a year ago, Espanyol captain Dani Jarque passed away ahead of a friendly match in Italy. He had been on the phone to his girlfriend, when he suffered a heart attack. Closer to home, Motherwell captain, Phil O’Donnell died after collapsing on the pitch toward the end of a league game in December 2007. One particularly tragic, and preventable, death was that of Croatian footballer Hrvoje Custic, who passed away after hitting his head on a concrete wall during a game. It raises the question of why there was a concrete wall less than 2m from the touchline – it was a tragedy waiting to happen. Football cannot take any blame for these tragedies. Virtually all of them were as a result of pre-existing heart conditions. However, it should be argued that there should be a greater focus on screening for these conditions, not only at the highest level, but throughout the footballing pyramid. Earlier this year, Sevilla defender Sergio Sanchez had a heart condition detected that would potentially have been a serious risk. Also in Spain, Real Madrid midfielder, Ruben de la Red has been sidelined since collapsing in October 2008.